Nothing will Jazz Up your look like a Fedora. 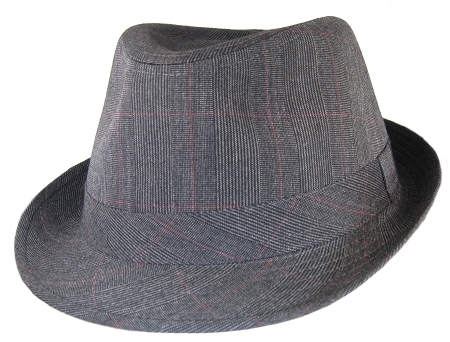 This 2XL Black Plaid Fedora is made up of black, gray and a tiny bit of red. Nice item. Fits my 7&7/8ths head comfortably. The color is a dark gray. My entire life I've wanted a hat that made me feel classy....... This is the one. The quality, fit, and style exceeded my expectations. I've received hundreds of compliments on the fit, shape, and color. As a personal stylist, I give my highest recommendation for men or women to purchase this fabulous fedora.